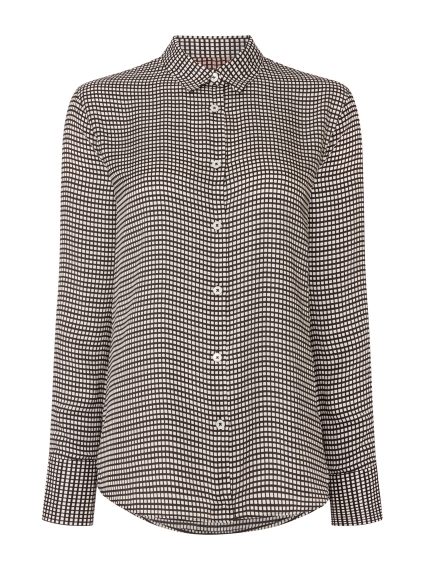 This monochrome long-sleeved shirt features a contemporary all-over check print, with a crepe finish. Cut for a slightly fluid fit, this shirt and is finished with tonal white shell buttons. Team with smart separates.